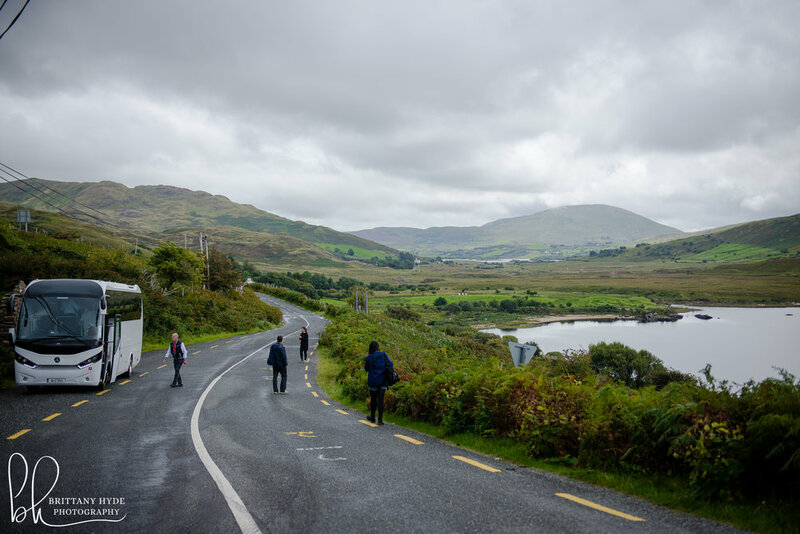 On The Road Again: Ireland — Brittany | Hyde | Photography. Ireland had been on my list for a while so when I knew I'd have a work event in the UK at the end of August, it seemed like a no-brainer to tack it on. It took very little effort to convince Sarah and Kathryn to meet me there as Sarah had studied abroad in Galway back in 2002. Jenny and Joe jumped on the bandwagon, ready to celebrate their first wedding anniversary and Joe's birthday while on the road. We flew into Shannon and I rented a car, a relative expert at driving on the right side of the car and on the right side of the road after a week in rural England (I only turned into the wrong lane three times! I took it as a win.). We spent three nights in Galway and then headed east to Dublin for two nights. Below are images from Connemara, including the Kylemore Abbey Estate, the Cliffs of Moher (bucket lister for me), the Burren, and Bunratty Castle, all on the west coast of the island. And then some iPhone photos because sometimes I get lazy...and because while I carried my big camera all over Dublin on our last full day, I took exactly zero pictures. If driving was a win, that was a fail. The weather was pretty incredible for notoriously grey and rainy Ireland (we got a good amount of sun, especially in Dublin where temps were in the mid 70s!) but I still craved all of the color I could find. Below you'll see the most beautiful poached egg yolks I had ever seen, textiles to die for and sweet ocean-side homes that pop against the cloudy backdrop. And let's not forget about all of that green! And to the iPhone photos! Dipping toes in the other side of the Atlantic, fish and chips for days, climbing the Round Tower in Kildare and the view from the Gravity Bar at the Guiness Storehouse (the ultimate tourist rip-off though kind of a non-negotiable stop as well).